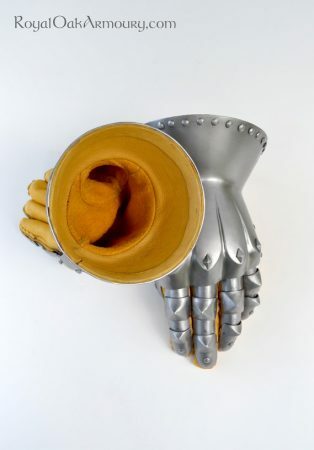 This pair of gauntlets is based on aspects of extant pieces and effigial depictions to create a pair of typical hourglass gauntlets from around the turn of the 15th century. 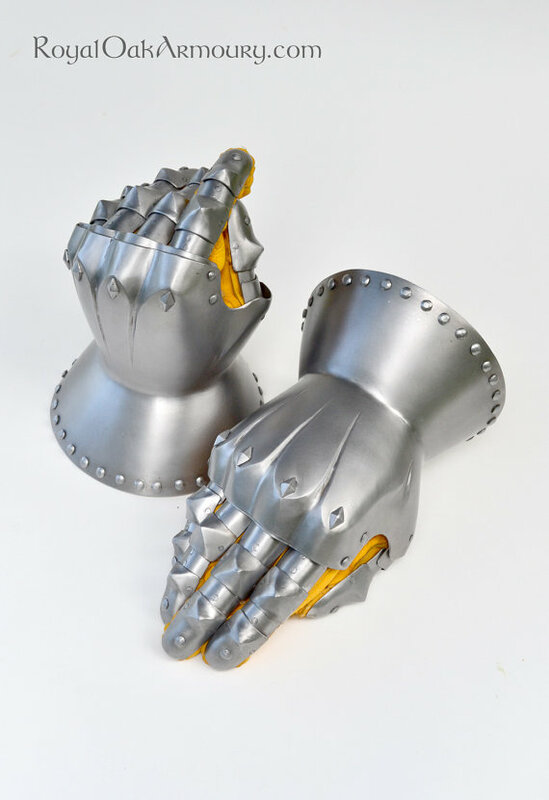 They are made from steel, the cuff and metacarpal being raised from a single plate of steel, and the fingers painstakingly assembled from tiny elements to properly match the articulation of the intended wearer’s hands. 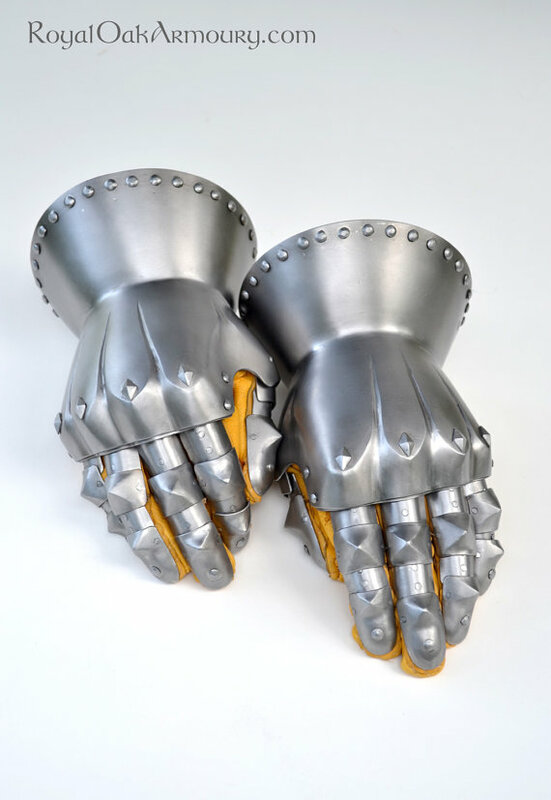 We use scaled scans of your hand to ensure a perfect fit. 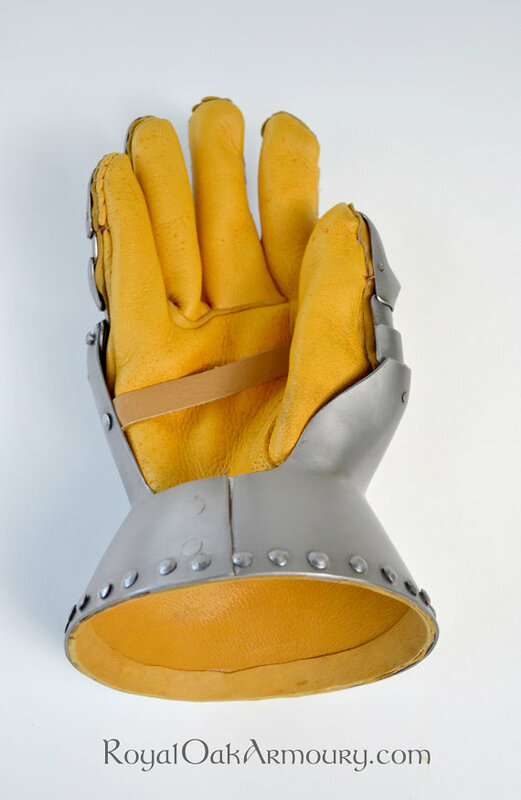 The finger leathers are attached to a lame that articulates under the metacarpal plate, to maximize articulation. The finished components are then mounted on good-quality deerskin gloves, altered to accommodate the lining of the cuff and to ensure that all of the fingers are the right length, but no longer. The glove is affixed by a row of closely spaced rivets along the gauntlets’ cuffs, and each finger leather is glued and sewn to the finger of the glove beneath. 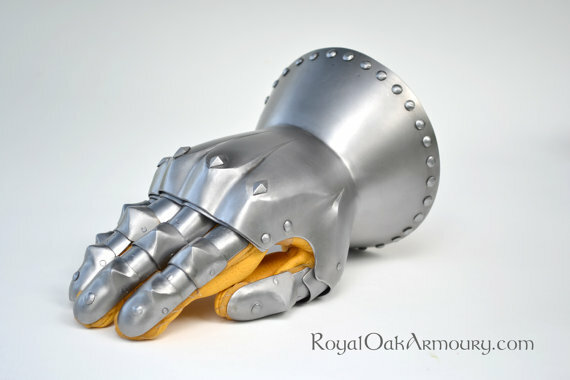 Because of the wide variation in detail and form of original gauntlets from this period, we are happy to entertain customization. The same pair of gauntlets can be had with scale, rather than anatomical finger lames, for the same price.